Have you ever heard that the smell of baking cookies or of apple pie wafting through a home can actually increase your chances of selling it? There is evidence that walking into a house filled with pleasant aromas will make the buyer feel better about the house than if there was no distinctive smell at all. We are, in many ways governed by our sense of smell. 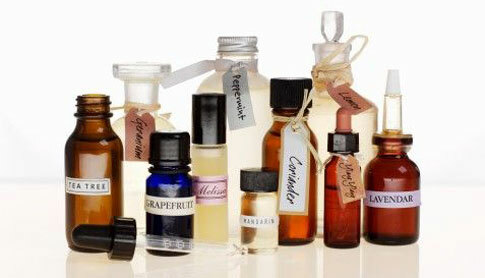 Scents actually inspire and motivate us to take action. This is because when an aroma travels through the olfactory system of the nasal passages, it stimulates the limbic system of the brain, which is directly connected to the emotional center in our brains. This part of our brain also controls heart rate, blood pressure, breathing, memory, stress levels, and hormone balance. Is it any wonder why when you walk into a bakery and smell cinnamon rolls or maybe fresh-baked bread, you almost immediately feel calmer and comforted? Depression affects all of us at one time or another. Depression can be defined as a blue feeling or it can be devastating. Some people suffer from acute situational depression as a result of loss or tragedy. Others suffer from chronic depression which lingers and affects responses to nearly every part of our lives. Aromatherapy isn’t a cure for depression, but inhaling the aromatic blossoms of lavender, for example, highly concentrated and distilled into a treasured essential oil can immediately bring comfort, especially when depression is accompanied by anxiety. Lavender is an essential oil that when deeply inhaled, through some form of diffusion, in our bath water, in a small amount of water gently heated with a candle, or in a base oil like jojoba oil rubbed onto the skin during a massage, can directly and positively affect our emotions. Lavender causes the heart rate to slow down, blood pressure to decrease, our breathing to ease, lowers stress and brings us comfort and promotes relaxation. 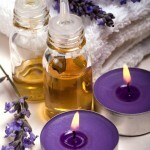 Lavender can remedy the symptoms of insomnia associated with depression. Lavender is well known for its sleep inducing properties and it can actually help you sleep deeper, longer. Studies have been done which show that patients who take tricyclic antidepressants (Elavil, Endep , Norpramin and Vivactil , to name a few) and lavender at the same time may be able to reduce the amount of antidepressants taken, because lavender can partner with the brains chemical response to these antidepressants. This could lessen the side effects associated with some antidepressants. *Never change the dose of your antidepressant without speaking with your doctor first. 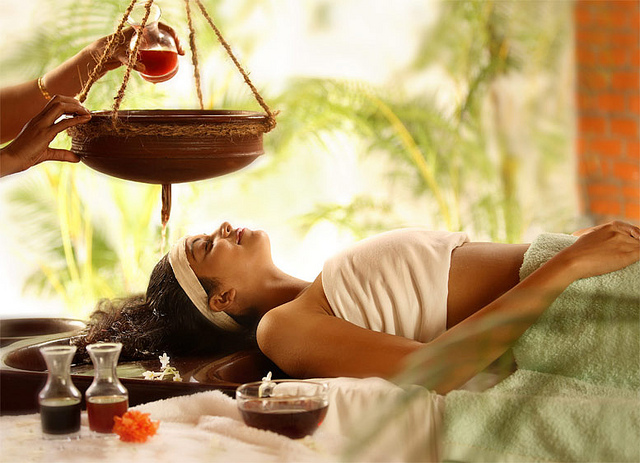 There are other essential oils known to alleviate depression symptoms, such as basil, bergamot, chamomile, camphor, clary, geranium, jasmine, Melissa, neroli, patchouli, rose, sandalwood and ylang-ylang. The next time you’re feeling blue or sad, or just if you’ve had a stressful difficult day, relax in a bath of warm water and just a few drops of lavender, ylang-ylang, chamomile or rose. 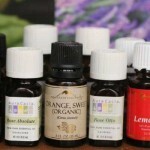 Close your eyes, relax and breathe in the wonderful healing aroma of healing essential oils. You’ll feel better and empowered just by doing something wonderful to comfort yourself.